When you open up the fridge and see this, it's time to find recipes that put your Fruit Fundraiser produce to work for you. I got an early start with the 'I've got a case of oranges what do I do?' phase when my young son's wheelchair basketball team did a fundraiser so they could buy equipment. (A basic pair of court shoes costs $50, a basketball chair costs $2K!). 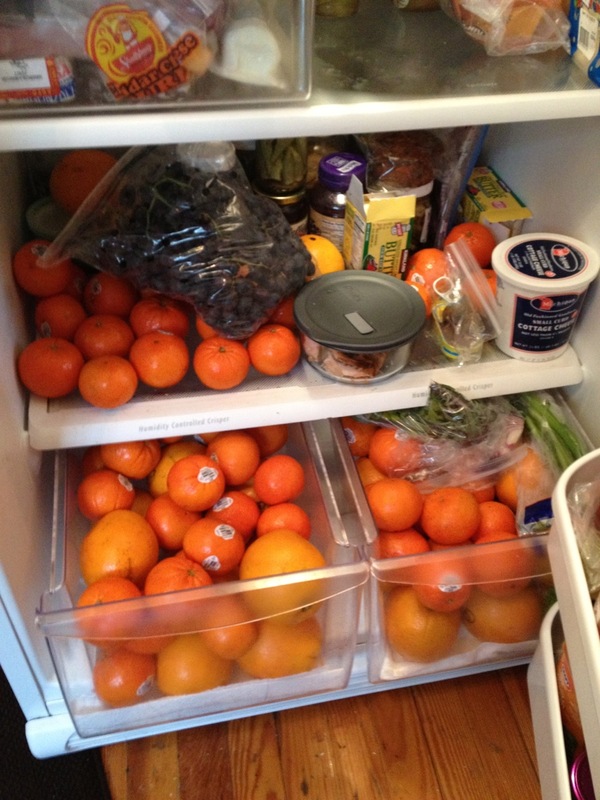 Over the years I've gathered a few recipes for using citrus fruit and, now that I've got Band Fundraiser fruit filling up the fridge I am compelled to share them. Let's start with breakfast, shall we? This recipe takes its start from this waffle recipe, and its finish from this waffle recipe. The bright tangerine flavor really comes through but is not overpowering. 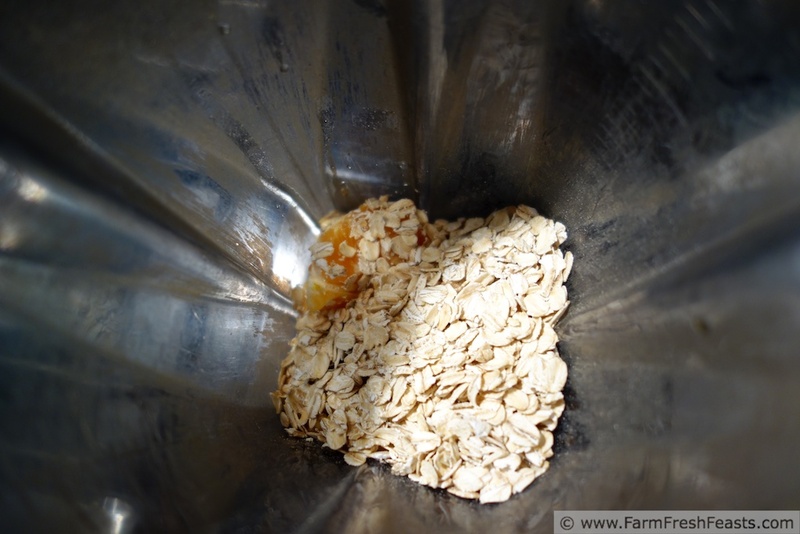 If you have a blender that crushes ice, don't knock yourself out seeding the tangerines, just pick out any obvious ones and the rest will get ground up. I particularly liked this with pear butter, but the kids preferred maple syrup. I think it'd be great with mini chocolate chips tossed into the batter too! 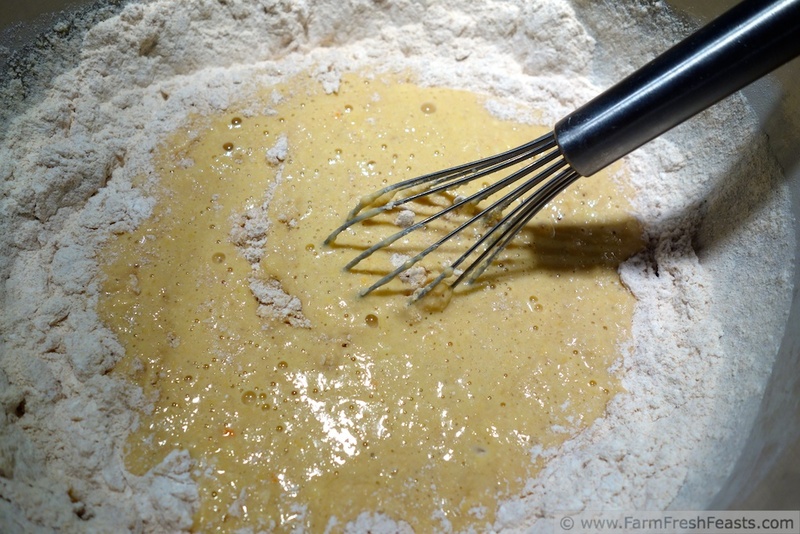 This is where I decided I was making waffles, not pancakes, and I needed a bit more cowbell buttermilk, so 1 1/2 cups. Why yes, my guest photographer is back in action! She was hungry and anything to speed the process along . 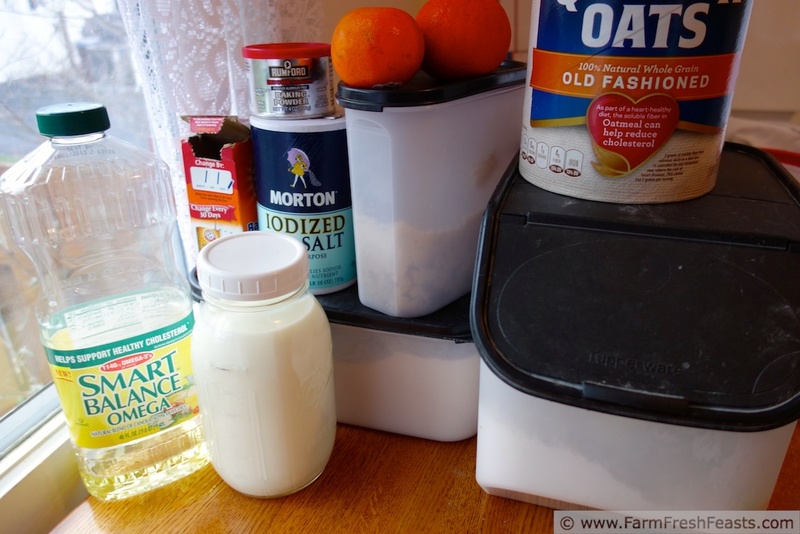 . .
Place tangerines, oats, and 1/2 cup buttermilk in a blender (mine is this one's great-grandpa). Liquify. 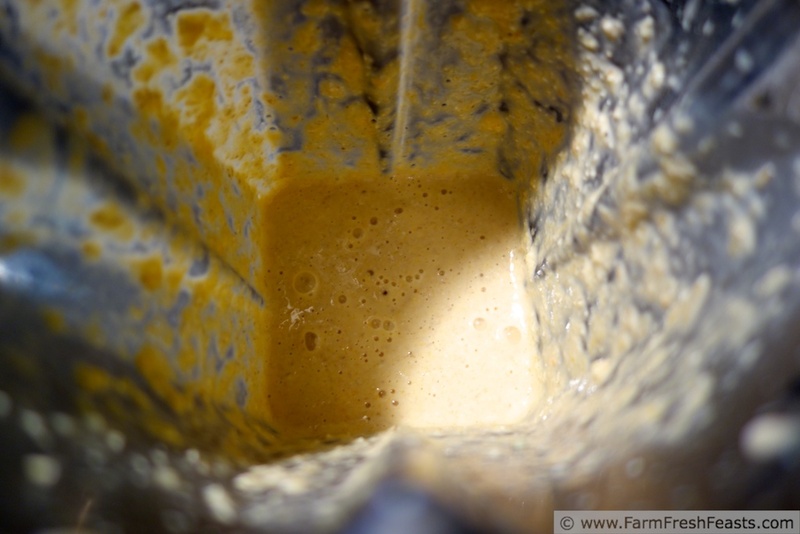 At this point you could continue in the blender, but I prefer to pour/scrape the mixture into a bowl and continue by hand. Easier for me to clean my blender right away than after it sits for a while. 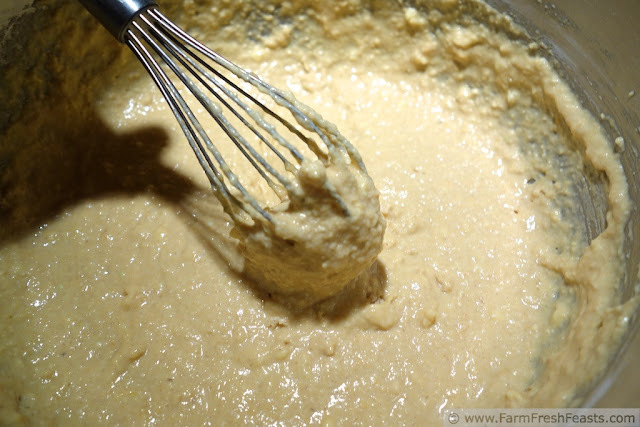 Whisk in eggs, sugar, softened/melted butter, and the rest of the buttermilk. Add dry ingredients to the bowl and whisk to combine. Then, to paraphrase Alton Brown, "Walk the dog! Just walk the dog!" After you've walked down to the local grocery store to pick up the Sunday paper, or found something else to do for 30-60 minutes, it's time. When your family is starving you're ready to cook, preheat your waffle iron and follow the manufacturer's directions on how to cook your waffles. 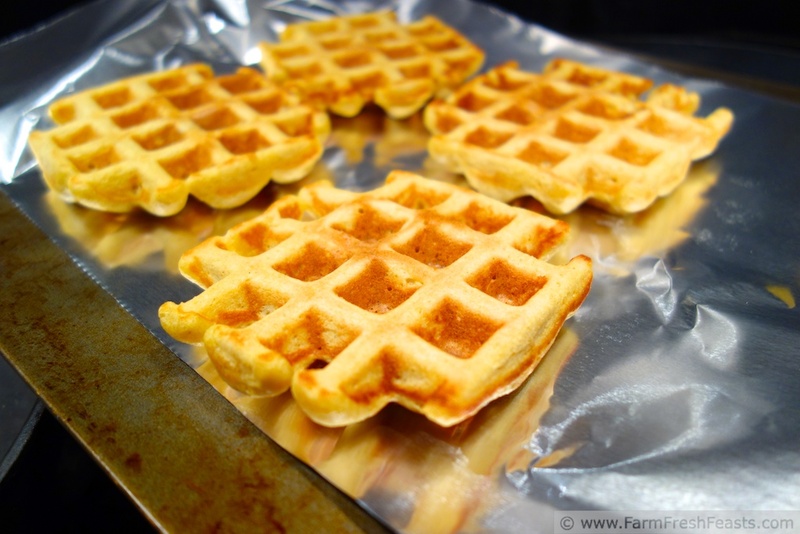 My waffle iron uses about 1/3 cup batter per square, so this recipe fed the 4 of us plus a pair of waffles for each kid, now in the freezer waiting for a weekday breakfast (the waffles, not the kids). Ok, we've used Band Fundraiser fruit for breakfast, what else? Stay tuned! Holy crapton of tangerines, and waffles to boot. Very impressive. By the way, either I'm getting delusional (which is entirely possible) or you are getting funnier with each post. I'm thinking the latter although I am quite close to delusional. Great post. All the laughing I'm doing over here has turned this evening into quite the enjoyable one, and I have you to thank for that. Finding my voice, my dear, finding my voice. Or being in a rush to get a current recipe up on the blog while the community is reeling from the influx of citrus fruit? Because, you know, I've got some in the can for next Thanksgiving . . . .
You know, I don't think you have enough tangerines in the fridge. ;) I love the idea of adding citrus to waffles. 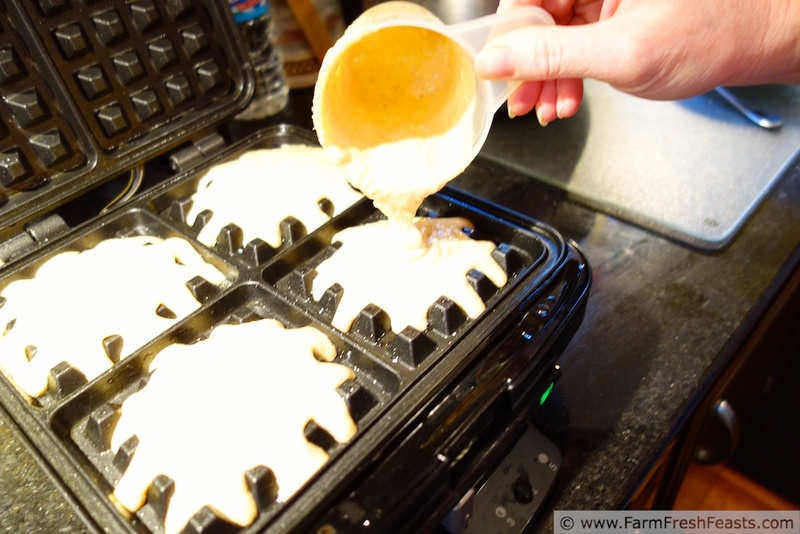 I bet these are so good, you don't even have to add much syrup to them! Now the farm share has delivered 2 huge bags of spinach, so the fridge is looking really . . . colorful. 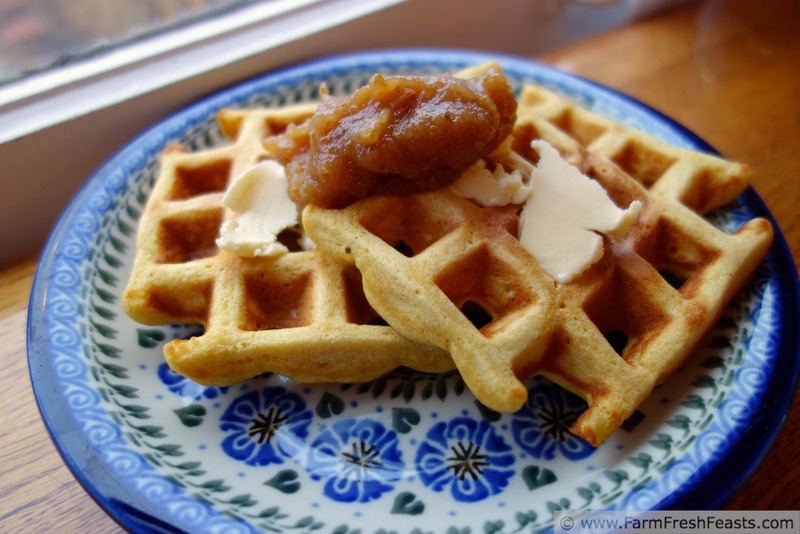 My kids had syrup on their waffles, but my pear butter (recipe from Farmgirl Fare) was perfect for me. We are waffle and pancake fiends around here. This looks like a really fun way to brighten a winter day when citrus is in season. Pinning now! Thanks for pinning! The band parents are already talking about the Band Fruit Fundraiser so I'm plotting my new round of recipes!